App Usage is the most easy to use but powerful application management app. Due to the limitation of Android, the app usage can only be tracked when you are using the app and screen is on. This function lists the usage time of apps by you preferred sorting order. This usage information is helpful for you to check which apps should be uninstalled as they are not used. It can also be used for spying whether an app has been used by someone else. 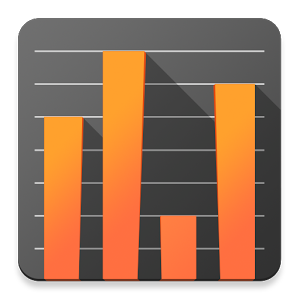 This function shows the daily count that you checked your phone in either a bar chart or calendar view. This function shows the time that you open an app in either a timeline or calendar view. This function reminds you when you spend on phone or apps for a long time. This function shows a list of your most used apps on widgets or system notification. It’s a convenient way to quick start the apps you use most frequently. Do you know which app has been installed or uninstalled without getting your confirmation? Do you know how frequent updates of an app? This function tracks and lists the history of all installed and uninstalled apps by you preferred sorting order. It’s convenient for you to track how many apps updated in a day, and how frequent updates of an app. This function reminds you when an app installed and the summary of daily apps installation. This function lists apps by app name, usage time, access count, update time or size, and allows you to uninstall apps easily and quickly.